We found the museum at its namesake piazza at the north end of civilization, and were pleasantly surprised by the smallness of the crowds. Yay for shoulder seasons! The museum is an old Dominican convent with a number of renaissance artworks by minor artists like Fra Angelico (who lived there) and Ghirlandaio, lots of ancient books, and dozens of rooms where other monks of old lived, prayed, and did whatever else monks do. Because we had other destinations to visit that afternoon, Perrie and I walked quickly through the various rooms in search of the main attraction. After cruising the ground floor, we proceeded up to the first floor (that’s the way they number them in Europe) and worked quickly through that, figuring our target was just around the next corner. As we walked down what had to be the last hallway in the museum, both of us started to question our memory. Are we sure this is the right place? That nagging feeling grew until we reached what was definitively the end of the tour without seeing any notable sculptures (or significant crowds). I won’t say that San Marco was a waste of time, but it did consume a very valuable hour in a way we hadn’t planned. Nevertheless, the Galleria dell’Accademia is just on the other side of the piazza, in the direction we needed to go in any case, and we headed that way. Sure enough, as we rounded the corner from the Museo di San Marco, there were crowds of tour buses and a lineup about a block long outside the main gate. We looked at our watches, and then at each other: Do we really want to spend two thirds of our remaining time in Florence standing in line to see one statue, a life-size replica of which we’ve walked past several times already this week? Nope. 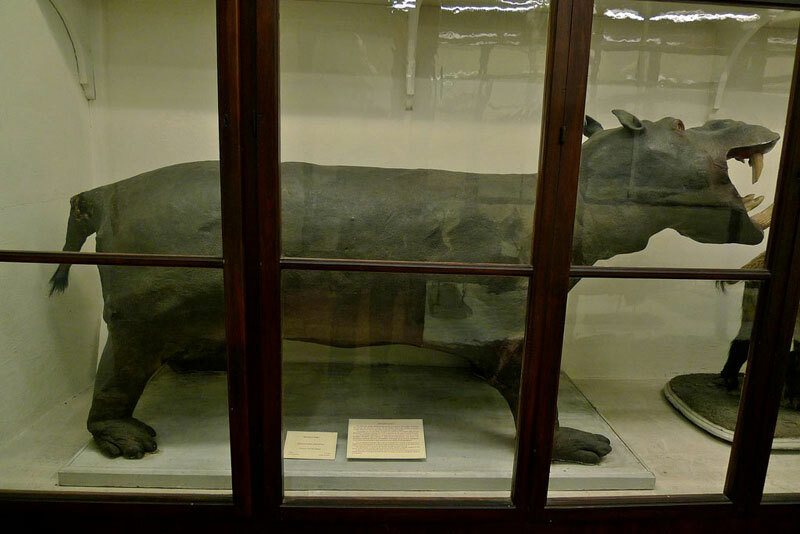 There were many other things that Perrie would have enjoyed seeing, but only one that she had to see: the Museo di Zoologia, known colloquially as La Specola. La Specola (“the observatory”) is a nondescript building right next to the Pitti Palace, named for its one-time purpose. The oldest scientific museum in Europe, it was founded in 1771 to house various scientific and natural curios acquired by the Medici over the centuries, and opened to the public (or at least anyone who “looked clean”) in 1775. Most of the scientific instruments have since been moved to other museums in Florence leaving this collection to focus on the living world. For the most part, the museum contains exactly the sorts of things you would expect to find in any natural history museum: cases and cases of preserved specimens of everything from tapeworms to chimpanzees, including all manner of fish, reptiles, birds and mammals. Like everything else in Florence, though, these are very old: most are pre-1800. Consequently, the quality of the taxidermy varies significantly. Some samples look pretty good. Others are falling apart at the seams. And others—notably the hippopotamus, which was kept in Boboli gardens as a pet in the 1600’s—were stuffed by someone who didn’t know what the animal actually looked like. These were all pretty interesting, but the real star of the show—for anyone, but particularly our resident anatomist—is the museum’s collection of life-size anatomical wax figures. The museum has dozens of these highly detailed and accurate pieces, created mainly in the late 1700’s as teaching tools. They range from sections of the head to a variety of obstetric conditions to full-body dissections splayed out in all their glory. It is considered the greatest collection of such figures in the world. I think Perrie could have spent a whole week in there. So did we see David? No, not the original. But we did see La Specola: definitely the right choice. Click the thumbnails below for more pictures. You can find all of my posts from Florence here. I was truly in my happy place there…what an amazing museum! !